What are we to expect on the day of the event? 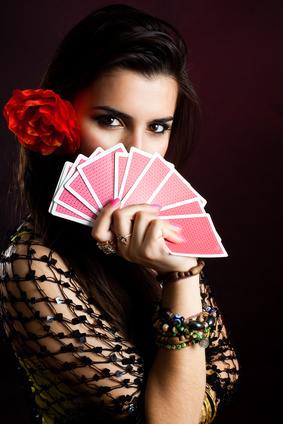 Your psychic will show up dressed in elegant bohemian chic attire, (or in colors and styles adapted to the theme of your party), half an hour before her starting time, to be assigned to her spot. She will then beautifully decorate the table and chairs you have previously set up for her, with her own linens and accessories. She will start at the time that was determined with you prior to the party, unless you, or the contact person at the event, do ask that she starts as soon as ready.